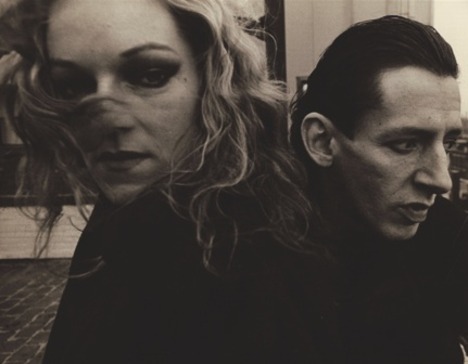 Through the love, respect and admiration of Berlin-based actress and writer Chloé Griffin to American cult figure Cookie Mueller, Edgewise, A Picture of Cookie Mueller is a laborious work which compiles excerpts of articles, diaries and notes from Mueller’s life, together with several heartfelt interviews with those who loved Cookie the most and knew her best. Thus, this biography book of the artist whose career happened in the same breath as that of John Waters, Richard Hell, Amos Poe, Robert Mapplethorpe and many others from the cross-border era between the 70’s and the 80’s in New York City, delves deep into the real inside story, delivering a true and remarkable piece of documentary. Mueller was a tough cookie, a polymath that happened to born and be raised in Baltimore, Maryland, where the gracious whim of fate put The Dreamlanders (John Water’s gang and regular film cast) together. Thereafter, Mueller was moving to New York City putting herself in the position to mingle with those many talents that built a new cultural wave. In other words, she was an instigator in a flamboyant moment in the life of a bunch of cool people doing a bunch of funny things and it was necessary that someone gave the respect such legacy needed. 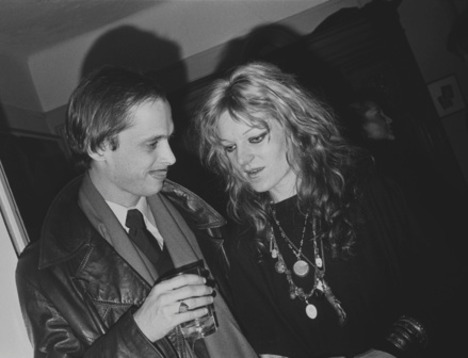 Apart from her work with John Waters, Mueller increased her filmography with some other films that show the rawness and beauty of New York City in the 80’s. Noteworthy appearances are the ones in “Downtown 81” (1981) and “Variety” (1984). Chloé Griffin’s success lays on her honest approach to Cookie Mueller’s world with some eight years of dedication to this project. The book’s start off in Provincetown allows Griffin meeting Sharon Niesp, Mueller’s longtime friend and lover who introduced Mueller’s son, Max Mueller, to her. From here unfolds the story that will perish with Mueller’s death in 1989, who as many other icons from her era struck against AIDS. Griffin pays homage to Mueller, and we all must be very thankful for that. 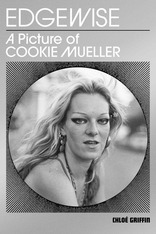 What is your link to Cookie Mueller in the first place and how do you get into this project? In my first year out of high-school I saw Cookie as Concetta in Female Trouble. She plays Divine’s badass high school girlfriend and since I had been in some trouble in school myself… I immediately clicked with her attitude and imagined her as a kind of role model, along with the other Dreamlanders. 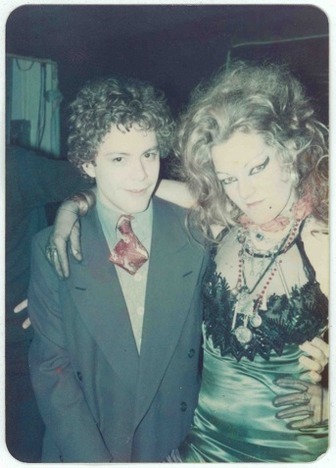 Later on, when I moved to Berlin and started making and appearing in underground movies and other artistic projects, I was given a copy of “Walking Through Clear Water in A Pool Painted Black”, a book of short stories written by Cookie Mueller. When I read Cookie’s writing it really affected me. Her writing is so direct and immediate that it’s like you actually meet her. She’s so present. That was the moment when I thought; I want to do something to pay homage to her. 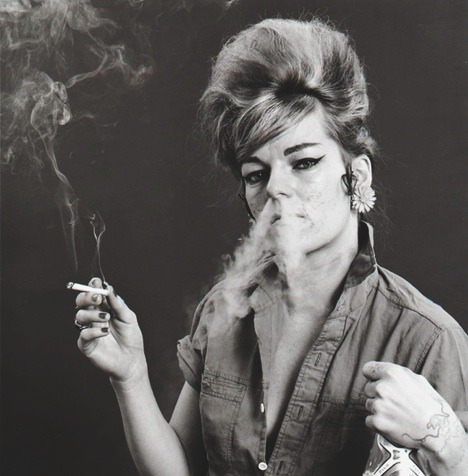 I do understand the character of Cookie Mueller truly inspired you. Why you decided to become responsible of this homage to Cookie’s life? I loved the incredible kind of freedom she seemed to possess—and the stories her friends told me confirmed this adventurous streak in her, something which I felt come across from her writing too. She had a freedom in the way she just lived her life and became herself. There was no artifice. She was a real wild child and embodied this bohemian spirit. Of course, she was also incredibly funny and almost absurdist in her observations of things and people—which I really loved. She carries a kind of crack-pot wisdom. This is your first book. Anyone could tell there is a lot of work on it: research, contacting people, gathering material, fieldwork, etc. How long did it take until publishing the book? I started looking for traces of Cookie in 2006. I was lucky to meet Sharon Niesp and Max Mueller that autumn and at that moment I knew I had found what I was looking for. At the beginning, I would meet people and record conversations, but I didn’t foresee a book. I wasn’t sure that I would actually do with the material, but I didn’t lose sleep over it. I began the ‘research’ so spontaneously that I allowed the discoveries to navigate the direction. I worked on the project for over 8 years and that allowed the stories and memories to mature and metamorphose into my own life stories. I believe this is why the book has a very natural approach. Why do you think Sharon Niesp trusted you and what factor made that happen? Would it be possible to write this book otherwise? The trust that developed with Sharon and Max, along with the friendship, was essential to the book because it was always my intention to approach the story of Cookie’s life like a collaboration with the people who loved and knew her best. I think Sharon and Max trusted me because they recognized my honest intention and open enthusiasm. I followed my heart. After our first meeting we stayed in touch all the time and I returned to Provincetown and NYC to visit them many times. We became friends and we still are. Did you meet all the participants in the U.S? Mostly, but there were a couple people I spoke to that were living in other countries, such as Mary Vivian Pearce who lives in Nicaragua and Richard Hawkins who I met in London. Does “Edgewise” refer to a Cookie’s nickname or it is just how you conceived the title for the book? In my research I came across a letter which Cookie wrote to Raymond Foye concerning the manuscript for her book Garden of Ashes. ‘Edgewise’ was one of the titles she was contemplating for the book. When I read it I thought it was a perfect title for this homage. Would you catalogue this book as the only Cookie’s biography? There is a collection of information about Cookie called “The Cookie Mueller Encyclopedia”, but I’m not sure one would call that a biography. For what you know about Max Mueller, what do you think it meant to Cookie to become a mother? I think becoming a mother was very important to Cookie. She wrote once that she believes her son taught her the most. Pat Burgee, a friend of Cookie’s from Baltimore, told me that when Max was little, maybe about 2 years old, Cookie and he would walk down the road together holding hands, talking in a language that no one else could understand. They had a very close connection. Cookie had a column in some newspaper writing about AIDS as no one else did before. How the people you talked with remember her vision about it? Cookie had a very holistic approach to health, even though she was very often contradictory in her methods. She was very concerned about the AIDS situation as she was in the middle of the community which was suffering the most from it. She was always regarded as the “doctor” but then her remedies were very off-the-wall herbal concoctions and carried a kind of talismanic cosmic residue. She also did a lot of research into medical magazines as well. Do you believe that an artist can be versatile? If so, how do you understand the value of Cookie’s polymathic path? Yes, I believe that artists can be versatile. Creativity is a natural form that can take on different shapes and attitudes. I think Cookie understood this and created her life around this idea of making experiences larger and more meaningful, like art as life. I think you launched this book presentation in New York. Please tell me a bit about it! I launched the book first in NYC, which was an amazing event. On the opening night Sharon Niesp, Sue Lowe (who plays Mole Mc Henry in John Waters’ Desperate Living) and John Waters read an excerpt from Edgewise. A couple days later we had a night of readings where many of Cookie’s close friends read her stories. Richard Hell read poems that Cookie and he had written together, Linda Yablonsky read from How to Get Rid of Pimples, Patrick Fox read an “Art and About” column and the highlight was Max Mueller reading the story of his birth. For many people it was the first time all these friends had been together since Cookie’s funeral 25 years ago. Then, more recently you did a presentation in Baltimore as well. In Baltimore there was a reading with Mink Stole, Sharon and Sue. 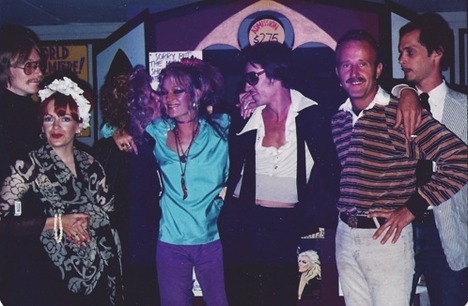 Many of the Dreamlanders (the original cast of John Waters’ early films) were present. We had a great time together, very much like a rebellious family of weirdos. After this Sharon and Max came with me to Berlin to stay for a couple weeks in my home. We had the last event of the book tour at a small bookstore, B-books -my publishers, on the 25th anniversary night the Berlin Wall fell, also the 25th anniversary of Cookie’s death. It was the most moving evening. I showed a rare film recording of Cookie reading her story “The One Percent” and Sharon read and Max read the story of his birth. It was amazing to think that somehow the whole 8 years of work had landed us together in that moment in time and place with the three of them reading together. Please tell me about your publishers, who made this project happen. My publisher – B-books – are a very unique and interesting collective of people who run a bookstore and a small press. They are very devoted to what they do and what makes them unique is that they only publish what they really believe in, from an intellectual and creative perspective, not a commercial one. Now that the book is in the market, and has received critical acclaim, how do you feel about this project, what have you learned out of this effort and how do you think it will affect further projects. I feel very happy that the people who contributed to this book love the book. It is the best reward for so much work. When you begin to tell a story of someone’s life, you take on a role that requires a lot of honesty and dedication. Memories are sacred for people, and they’re charged with many emotions. The trust I was given taught me how to believe in my work and my intuition. This kind of experience stays with you in your next work, your next friendship, and in your heart. Contributors: by John Waters, Mink Stole, Gary Indiana, Sharon Niesp, Max Mueller, Linda Yablonsky, Richard Hell, Amos Poe and Raymond Foye.